For more information from E3 2015, check out our other features: Microsoft conference, Electronic Arts Conference, Ubisoft conference, Sony conference, Nintendo conference, Square Enix conference. You can also check out the full conference at the bottom of the page. 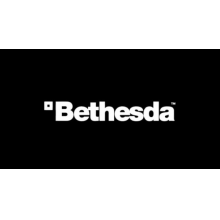 On the heels of the official announcement trailer for Fallout 4 – which set the gaming world into a frenzy last week – Bethesda Softworks will be holding their first ever E3 conference tonight. On top of showing off some of the biggest franchises in gaming (Fallout and DOOM), the Maryland publisher will hopefully be showcasing some great new games (and maybe a new IP or two) as well – c’mon Dishonored 2! If you’re like me, you’ll be forced to switch over from the season finale of Game of Thrones to tune into the conference, but don’t worry – we’ll keep you posted on everything Bethesda is bringing to E3 right here. I’ll be live-blogging the entire conference and updating this article with trailers, screenshots and impressions as the show (and E3) goes on. So keep refreshing if you’re unable to watch! Bethesda’s first E3 press conference starts off with the typical E3 formula – introduce employees, show montage of games. The crowd’s excitement is palpable. Pete Hines it out to speak for Bethesda, after thanking partners, employees and fans, we’re about to see some more from DOOM! Marty Stratton, Executive producer at ID Software, is out to speak about DOOM. The game will take place on Mars and your goal is to “kill demons”. The demo shows you running and gunning around a Mars base with a shotgun, mowing down a pack of demons. As you get close, you’re able to brutally rip into them with an invasive melee attack. Destructible elements come into play and as you enter the next are and pick up a sawed-0ff shotgun, the true carnage begins to take shape. As you enter the next room, a holo-deck device you pick up shows you a brutal rendition of the carnage in front of you. As you pick up a severed hand and use it to enter the next room, you’re naturally greeted by another large group of enemies to slaughter. This time, with the help of an LMG. Next, a chainsaw returns allowing you to reek even more blood-soaking carnage. As the trailer comes to a screeching halt, a flying enemy comes down, rips off both of your arms off and beats you to death with them. After the trailer ends, Stratton returns to the stage to talk more in depth about DOOM multiplayer. A quick montage plays. DOOM SnapMap is announce and will allow players of all platforms to create their own multiplayer experience and customize their own maps and matches. As Stratton finishes his time on stage, we get one more glimpse of DOOM multiplayer. We get a few minutes worth of its Hell level, with a great ending. DOOM is set to release spring of 2016 on Xbox One, PlayStation 4 and PC. Bethesda.net announced and will serve as a central hub for every franchise under Bethesda’s wing, including the . They take this time to introduce Battlecry Studios and their new game Battlecry. After a short introduction stating the studio will be taking worldwide beta applications, Battlecry Studios goes on to show a short trailer showing off a new warrior faction within the game and how it’s evolved over the last year. Arkane Studios take the stage next and begin talking about their last game – Dishonored. After thanking the fans, we get our first taste of their next project – Dishonored 2! As a huge, huge fan of Dishonored, I’m so happy to be seeing Arkane bring us more from the Dishonored universe. It may only be a short CGI trailer, but man, it looks fantastic. From the looks of the trailer, it looks like Emily Kaldwin will be the stories main protagonist. After the CGI trailer ends, the developers announce that you’ll be able to play as Emily Kaldwin or Corvo and will be available for Xbox One, PlayStation 4 and PC. They also announce Dishonored: Definitive Edition which will be remastered for current gen systems, will come will all DLC packaged and will be out this fall. The developers show off a gameplay montage trailer showing off what’s to come in the coming months for the recently released (on consoles) MMO. A new strategy card game set within the Elder Scrolls lore. Free to play on PC and iPad. Game director of Bethesda Game Studios, Todd Howard announced. Director for three consecutive game of the year award winners in Oblivion, Fallout 3 and Skyrim. Our time with Fallout 4 starts with a large montage of concept art for the series, which is absolutely intoxicating, and stunning. Howard speaks to the final image – a serene one that shows the time period before the blast – and here begins your time with your character creator. Character customization takes center stage as you create your character – either male or female. They won’t be speaking much to the story, but you’re apparently the sole survivor of Vault 111 and you emerge from the vault…200 years after the bomb went off. Dialogue is dynamic and nothing is set in stone. As they grab the infamous dog companion from the trailer, they announce you’ll be able to issue commands to make the dog obey you. As a pack of mole rats attack you and your new companion, Howard shows off that the targeting system from previous games will make its return. your Pip-Boy will also be making a return. Bethesda announces the Fallout 4 Pip-Boy edition will come with an actual Pip-Boy that works as a second screen that can work with your Xbox One, PS4 and smart phones. Fallout 4 also allows you to scrap material in the world in order to create and customize your own home in-world. All items have purpose and with thousands of materials in the world can be broken down and used to create new weapons and modifications. Fallout 4 will have fifty base weapons and over seven hundred modifications for those weapons. Fallout 4 will be available on Xbox One, PlayStation 4 and PC on November 10th, 2015. Fallout: Shelter announced. Will take creative inspiration from games like XCOM Progress Quest and will be available on smartphones. You can create and customize your own vaults. It’s gorgeous and looks really, really fun. The game will be free and won’t require an internet connection. You are able to buy more lunchboxes (that contain random loot) but otherwise everything is in-game. Fallout: Shelter launches TONIGHT. After another small glimpse of Fallout 4 fanfare, Howard calmly ends the Bethesda showcase. While some conferences seem to drag on forever, Bethesda’s showcase flew by. While they kept it relatively short and sweet with major focuses only on DOOM and Fallout 4, it was great to see Dishonored 2 officially announced, an update on Battlecry and The Elder Scrolls Online and announcements for Elder Scrolls Legends and Fallout: Shelter. After the announcement of Bethesda’s conference, the gaming world started frothing at the mouth for Fallout 4 and Bethesda Game Studios delivered in a big way. They managed to satiate people’s desire for information, while also releasing very little info on the games story. Graphics look relatively good and the customization and amount to do in Fallout 4 looks like it’ll keep us busy until E3 2016. Bethesda went for quality over quantity and it worked beautifully for them. I can’t think of a better way for E3 2015 to kick off and I think it’ll be nearly impossible for any of the other conferences to top Bethesda’s. Check back tomorrow for our coverage from the Microsoft, Electronic Arts, Ubisoft and Sony conferences. We will continue to post videos from the conference as they come available.